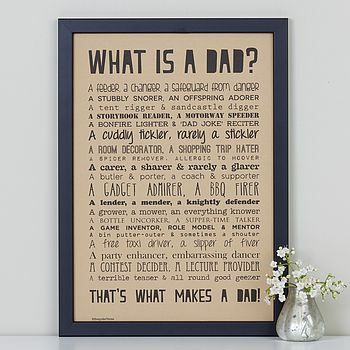 A witty and affectionate dad poem about fathers and the things they do for us. Can be personalised! 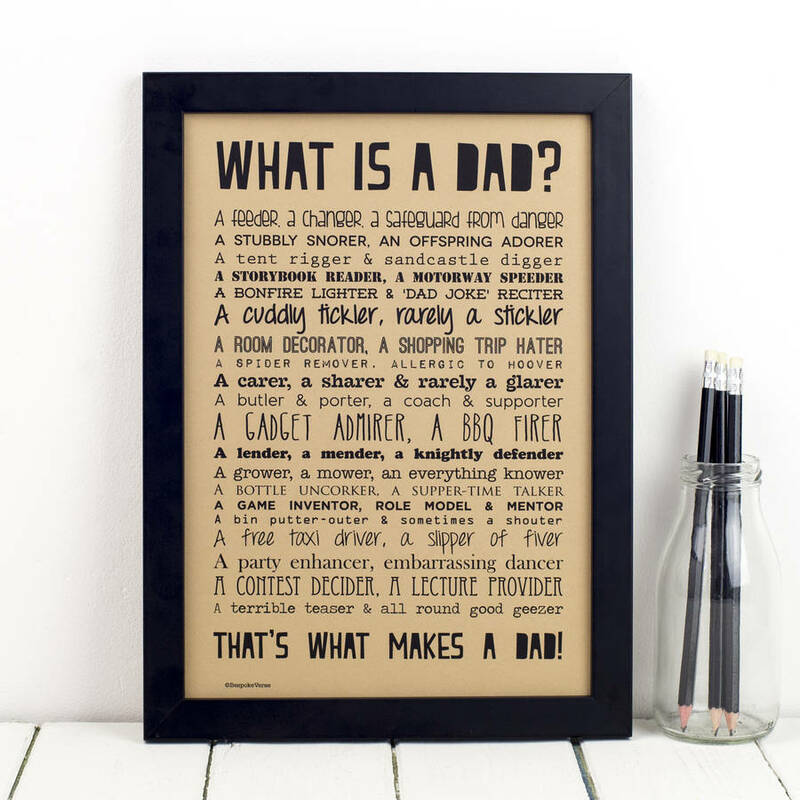 Our funny and heartfelt A4 dad poem print makes the perfect gift for fathers - whether it's for a birthday, christmas, father's day or even a new parent. 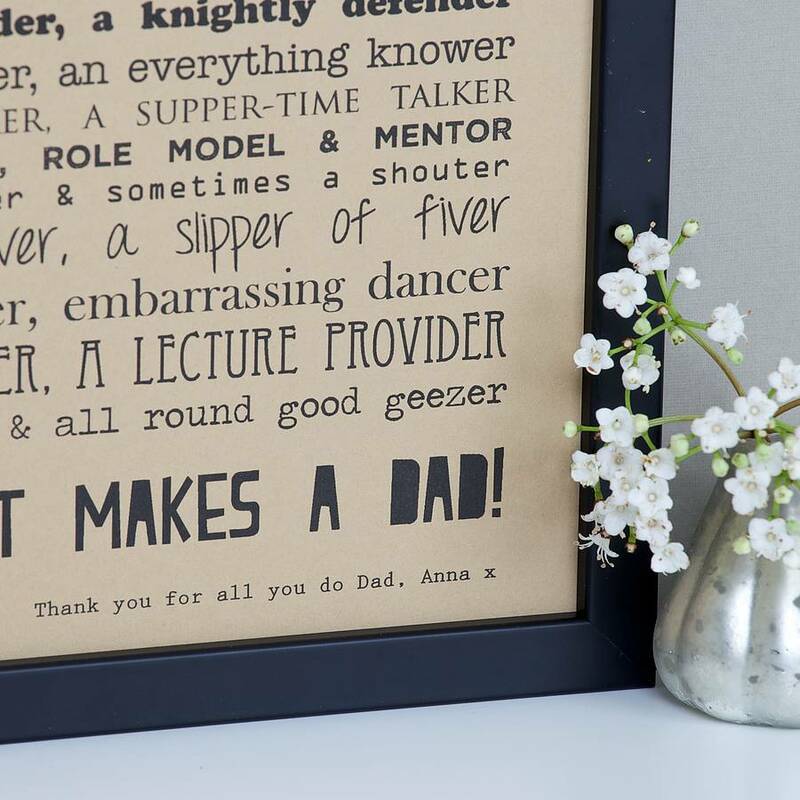 We would be happy to frame the print for you using one of our custom-made black wooden frames. See below for more details. For an additional fee, you are welcome to add a short message (max 8 words) at the bottom of the poem. 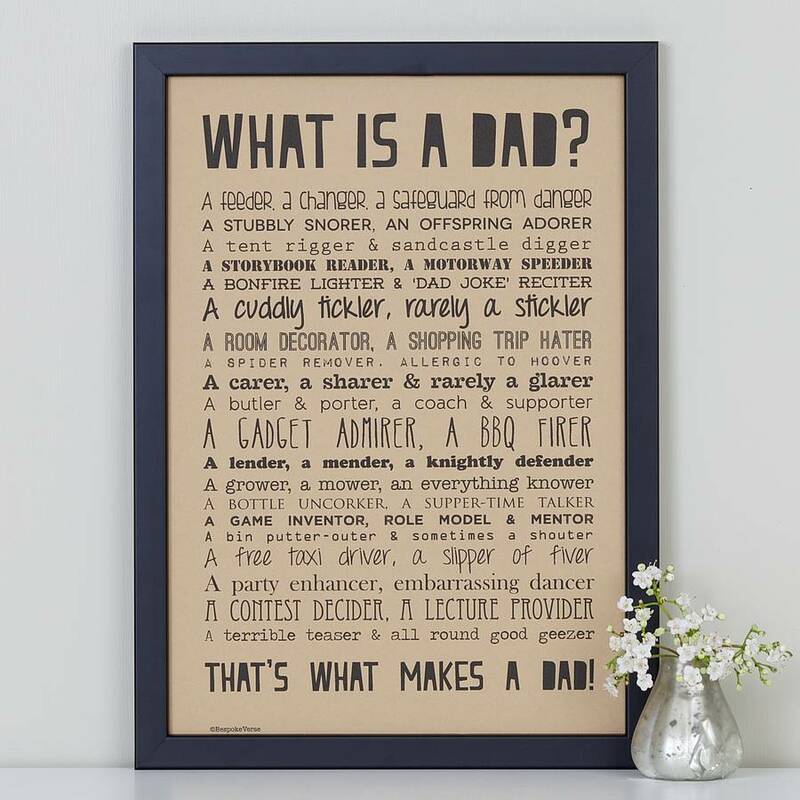 That’s what makes a Dad! 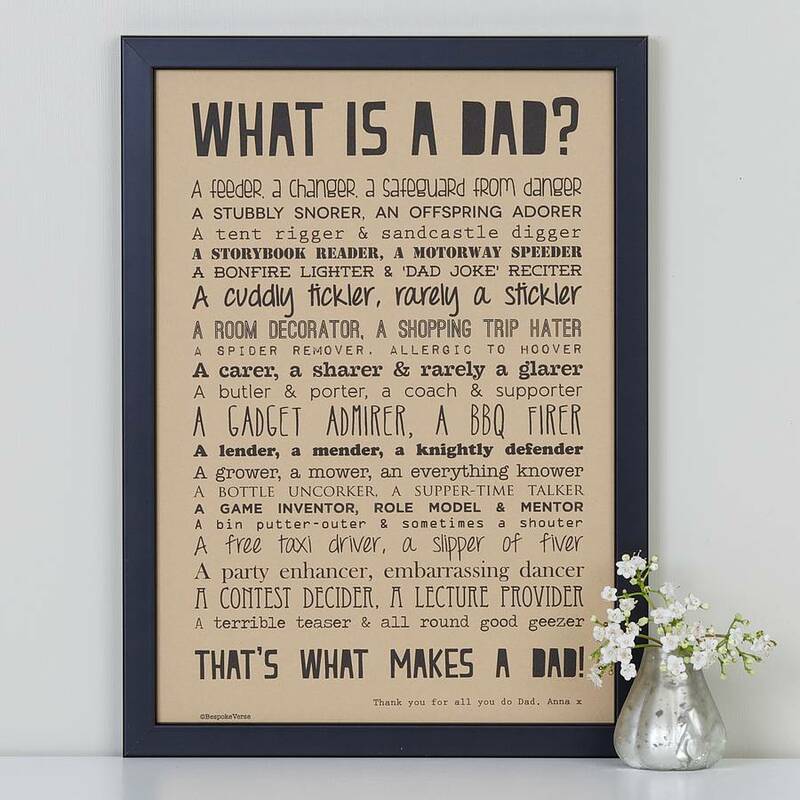 The dad poem print is printed onto the highest quality GF Smith brown A4 card (350gsm) using black Dura-Bright waterproof ink. Unframed prints are sent out in super-stiff envelopes. The lightweight black wooden frames available are slim (1.4cm wide) with a smooth, matt surface.